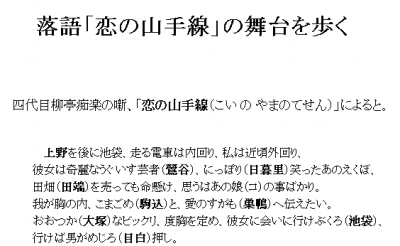 Here I’ll provide some more information for the rail fans amongst you who want to know more about the Yamanote Line, and for people who would like to try reading some more difficult Japanese. Before we get to the main point, I'll explain a little about the Yamanote Line for those who want to know. The Yamanote Line is a commuter rail line that runs in a loop within the 23 wards of Tokyo. It's a really convenient rail line when travelling around Tokyo, as it'll take you to popular spots like Akihabara and Harajuku. 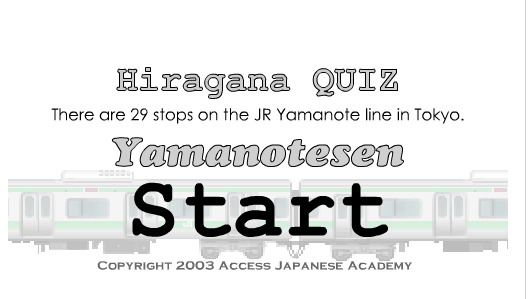 If you want to know about the Yamanote Line in more detail, please take a look at this site: JR-East Yamanote Line, JR-East Yamanote Line(2) (From the top page, FUNINI.COM, please enter via '世界の電車' (World Trains)). Here you can see photos of the trains that run on the Yamanote Line, and the various stations along it. 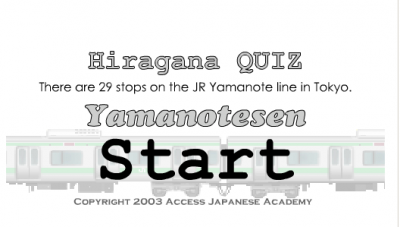 With this in mind, the Access Japanese hiragana quiz section has a quiz on all the 29 station names along the Yamanote Line. Apart from this one, if you just enter '山手線' as a keyword in an internet search, you’ll come across plenty more interesting sites. For example, the Yamanote line makes an appearance in rakugo. 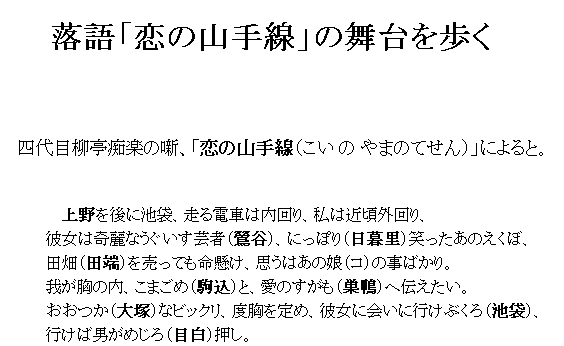 Among the contents of 落語の舞台を歩く (Walking the Rakugo Stage) （a part of 吟醸の館 (Ginjo no Yakata)）, you can find a piece called 落語「恋の山手線」の舞台を歩く (Walking the Stage of the Rakugo, ‘Love on the Yamanote Line’), where every station is introduced along with photos. 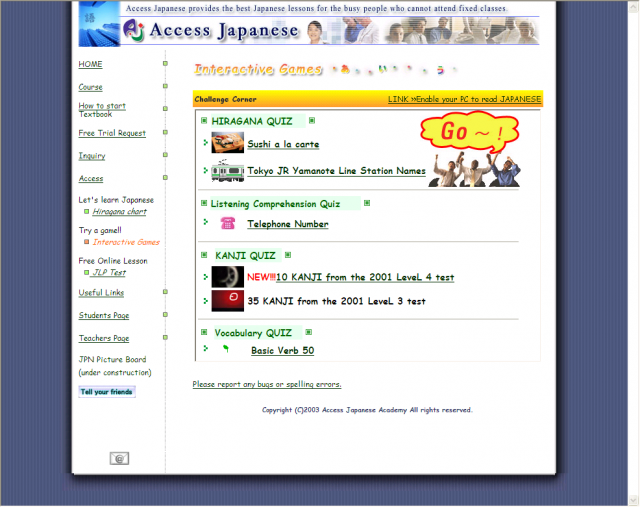 There are other sites too, such as the 山手線検定 (Yamanote Line Examination) (Top page: さいたま市けんてー) where you can check how often you ride the Yamanote Line. Wow, the power of the internet huh? You can find this much information, even for something as seemingly ordinary as a train line. There are plenty more sites dedicated to the Yamanote Line that I haven’t introduced here. If you’re interested, by all means please check for yourself!